The Federal Communications Commission in 2013 considered allowing passengers on commercial flights to conduct voice calls. The proposal wasn’t all that popular as people across the country were turned off by the idea of being stuck in an airplane full of obnoxious passengers talking on the phone just because they could (because that’s exactly what would happen). Fortunately, the idea fell by the wayside as more pressing issues bubbled to the surface. With the recent change in power, however, the FCC is now revisiting the matter. FCC Chairman Ajit Pai on Monday circulated an order that would put an end to the agency’s plan to relax rules governing mobile communications on planes. Pai said in a statement that he stands with airline pilots, flight attendants and America’s flying public against what he calls the FCC’s ill-conceived 2013 plan to allow people to make cellphone calls on planes. The chairman said he does not believe that moving forward with the plan is in the public interest, adding that taking it off the table permanently will be a victory for Americans across the country that value a moment of quiet at 30,000 feet. What are your thoughts on the matter? 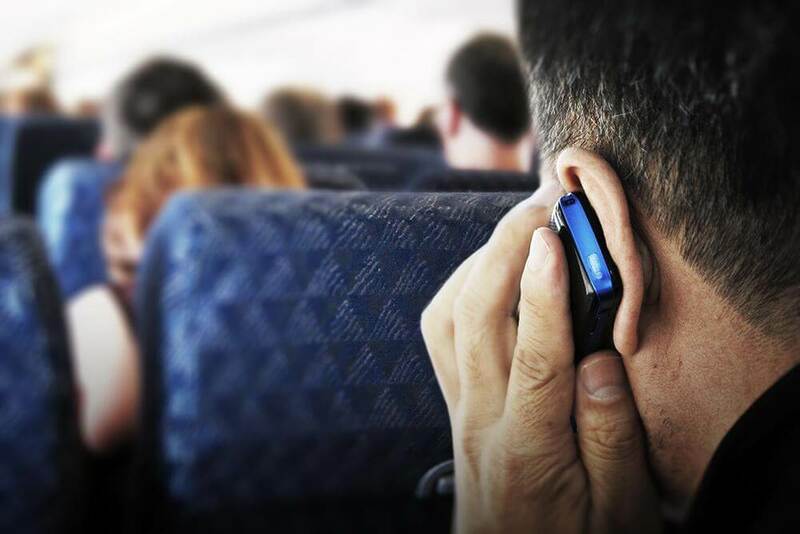 Should the FCC continue to ban cellphone calls on flights or would you prefer to be able to place a call while in the air? Let us know your thoughts in the comments section below.